Thank you for your generous support and for making our event such a success! Please join us next year in 2019! 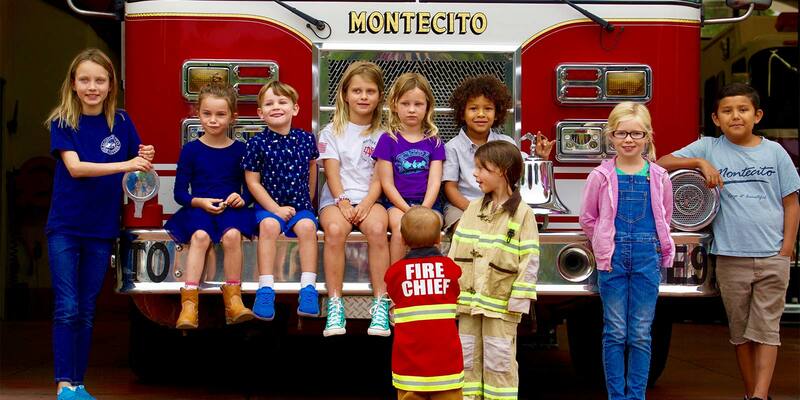 For a century Montecito has been blessed by the services of the Montecito Fire Department. Since the 1970’s the Montecito Firefighter’s Association has quietly given thanks in support of one another’s brave efforts and responsibilities through yearly family gatherings. As we are all aware, 2018 revealed how our Firefighters and community members can seamlessly work side-by-side together; enhancing response of catastrophic proportion through daily “heroics”. Starting this year, the Montecito Firefighter’s Charitable Foundation (MFCF) invites the Montecito community we serve to be honored alongside us. We wish to pay tribute to those who performed outstanding acts both in our fire department and to their neighbors. We believe this will perpetuate the sense of togetherness and family experienced by all who live here. One may ask, why another benefit marking the Thomas Fire and debris flow, especially when Montecito is moving forward with significant recovery. MFCF feels compelled to continue building our strong community connections and inspirational partnerships. Thus, we offer you the opportunity to support Firefighters through a sponsorship of our 101st Anniversary Thanksgiving Celebration. We hope this gesture will become a highly anticipated annual community fundraiser. The event will be held November 18, 2018 at 5 PM at the beautiful Coral Casino in La Pacifica Ballroom. We look forward to an evening of heartfelt appreciation, gratitude, acknowledgement, dancing, great food, good friends and fun. This sponsorship includes three tables,10 tickets for firefighters, invitation to the VIP pre event, logo or name on stage during the event, photograph with the honorees. This sponsorship includes two tables, 8 tickets for firefighters invitation to the VIP pre event, logo or name on stage during the events, photograph with the honorees. This sponsorship includes one table, 6 tickets for firefighters, invitation to the VIP pre event, photograph with honorees.